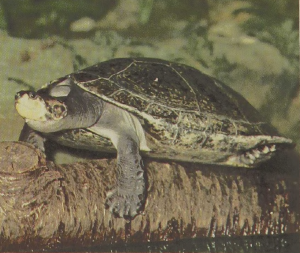 The Arrau is the largest of the South American turtles. Like the Mata- mata, it is a side-necked turtle that withdraws its head by bending it laterally under the margin of the shell. 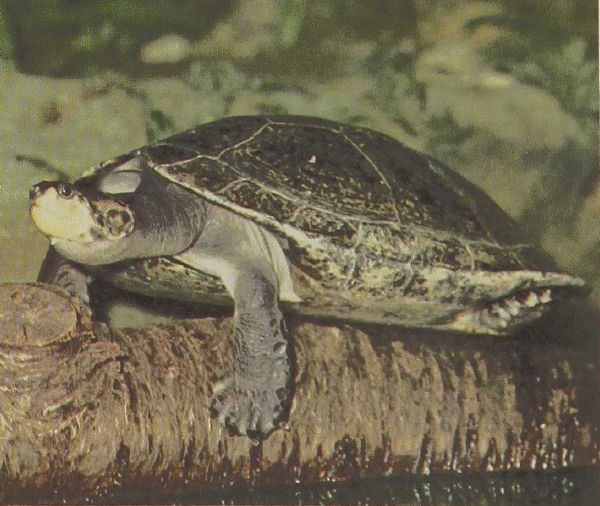 Once these turtles occurred in enormous numbers in the Orinoco and Amazon river systems where they reached up to 150 pounds with shell lengths of 35 inches. Stories abound of nesting migrations to sand banks along the river where thousands of turtles deposited 80 to 200 eggs each. Such occasional mass abundance, first of eggs and then of almost defenseless hatchling turtles, apparently exceeds the predatory capacities of the local birds and mammals so that enough turtles survive to scatter to smaller tributaries where they grow to maturity.